Four PR pros weigh in on the crisis New Balance is trying to stomp out, and what it should do now. New Balance unknowingly walked into a reputation crisis after customers across the country, incensed by a PR exec’s comment, purged their lockers and shoe racks of the incendiary footwear. Last week, Matt LeBretton, director of public affairs, commented to a Wall Street Journal reporter that the shoe company, which advocated against the TPP, believes the country will benefit from Donald Trump’s presidency on issues of trade. After LeBretton’s comment ricocheted across social media, with customers burning and dumping their shoes in response, the company issued a statement that rebuffed an endorsement from neo-Nazis that proclaimed them "The Official Shoes of White People." It also affirmed the importance of its U.S. manufacturing and emphasized the quote was in direct relation to issues of trade. Asked how it is stomping out the fires it inadvertently started, Amy Dow, senior global corporate communications manager at New Balance, said: "We are continuing to aggressively correct inaccuracies when we see them and are able to respond to media inquiries and to reinforce the messages that our current statements cover." In the moment, we often think of current sentiment as having long-lasting or permanent impact on brand reputation. General Motors’ faulty ignition switch had the public thinking the brand would have challenges rebounding, but two years later it is still selling more than 200,000 cars per month. BP’s oil spill crisis in the gulf with loss of life and environmental harm surely would have permanent impact on the company. Both of these companies have mostly rebounded. Permanent reputational harm tends to impact companies who do not take accountability for the issue, have a strong response, and a plan for how the situation will not happen again. The company’s response condemning hate and discrimination in any form was strong, but it wasn’t enough to settle the situation. This demonstrates a new consideration for brands providing a point of view or position on political issues. In this situation, both sides have now hijacked New Balance shoes as a symbol of support for President-elect Trump or a rejection of his election. New Balance has a legitimate position as a "Made in America" brand to have a point of view about complex policy issues related to trade. Having a voice in policy matters -- when done appropriately, it can actually help a company build reputation. What New Balance failed to consider was the highly polarized public at this moment in time, and the level of emotion they would incite with a flip comment. Their statement, and ultimately their brand, were hijacked by the alt-right. For a brand that has struggled for attention in the shadow of some mega-brand competitors, this certainly isn’t the kind of attention they were looking for. 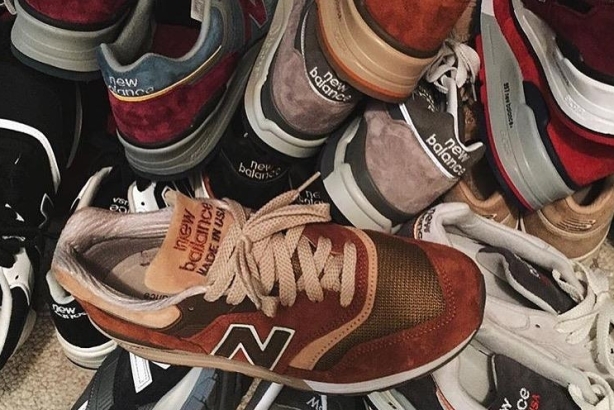 All eyes are on New Balance now. They can use this opportunity to change the conversation about the brand and build relevance. When brands manage a controversy well, it can bring them new loyalists. Time will tell if New Balance can be successful at creating an opportunity for itself, or if it will slip back to its former position in the sneaker hierarchy. While the inescapable conclusion is that New Balance is going to be mired in controversy near-term, long-term their prospects are unlikely to be that dire. It’s also possible that this won’t be the only brand to fall victim to the fallout of a particularly polarizing election. Given that the original comments were made by a low-level executive, didn’t come from the C-suite, and weren’t conceived in hatred, the company’s response was appropriate. And, New Balance is not the first company to fall victim to a 140-character tweet whose contextual framework was twisted by others looking for shadows where none existed. New Balance needs to stick to its mission of making athletic apparel, take the high road, and keep out of the sandbox. This, too, shall pass, but they should learn from this experience and respect the power of social media. Brands often cite the advantages that social can offer, but it’s a two way street. While New Balance’s reputation will survive, it is the opening salvo of what corporate leadership can expect in the wake of confirmation that we have significant divides in this country and beyond. Before weighing in on business and social policy issues, CEOs and their minions are going to have to vet very carefully the impact it will have on core constituencies, including employees and customers. Though corporate leadership must be front and center on important issues of the day, they will need to develop the appropriate internal and external comms strategy based on the right insights and information to make sure they’re harmonizing their business objectives with their cultural and social aspirations. [The election] lifted the lid off the social-cultural-business phenomena that’s been underway for some time, which is the democratization of influence. You’re beginning to see what that means in a post-fact environment and post-Donald Trump campaign. New Balance stepped into what many companies that are not careful will step into. We live in binary terms -- you’re either for something or against it. And nuanced positions are increasingly difficult to maintain.